The Marvel Cinematic Universe has added a new Spider-Man to its ranks, played by actor Tom Holland. After making his debut in Captain America: Civil War, Holland has by and large won over the fickle Marvel fanbase, which has endured quite a few Spider-Man actor changes in the last decade. The young actor is now set to breakout in his own MCU solo film, Spider-Man: Homecoming, which hits theaters next year. 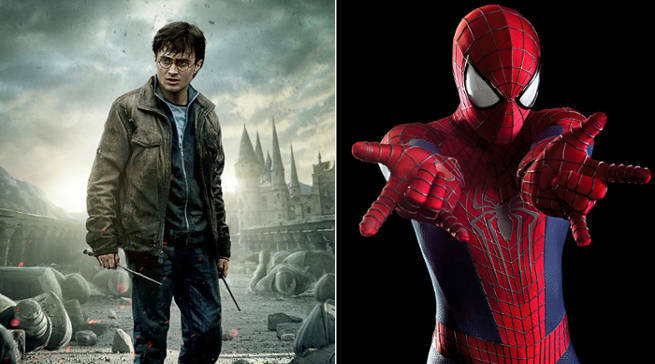 However, it's interesting to learn from Metro UK that fans could've had another actor from a super-popular franchise in the Spider-Man MCU role: Harry Potter's Daniel Radcliffe! Radcliffe was giving an interview about his new film Swiss Army Man (in which he plays a flatulant corpse), when he dropped the bomb that he would've loved playing Spider-Man in the MCU, stating, "I would’ve been a good Spider-Man but the boat has sailed on that and I’m very happy to watch Tom Holland do it. He’s fantastic." Cue the collective geeksplosions of a million fans across the world, who will now be talking, debating, and endlessly imagining if Harry Potter had played Peter Parker.